I always get excited when I work on a dining room project. It’s one of my favorite spaces that I like to design, add drama, and do some switching when dealing with seating. I enjoy addressing anything matchy-matchy. I do understand that some prefer a dining table with the matching chairs, and this can be a keeper for most. 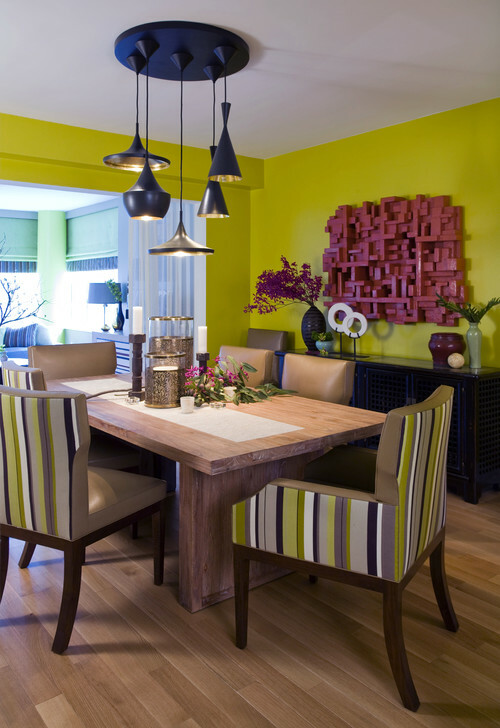 However, keeping the dining chairs because it is considered the norm is a definite no-no! Moreover, given my experience as a designer, why not make a dramatic statement with the chairs that give way to a more dominant color, unique pattern by utilizing fabric, or a finish such as metallic. The overall point is to add a little bit of drama. I like to provide my professional opinion to help nudge someone that is in their comfort zone and scared of change. 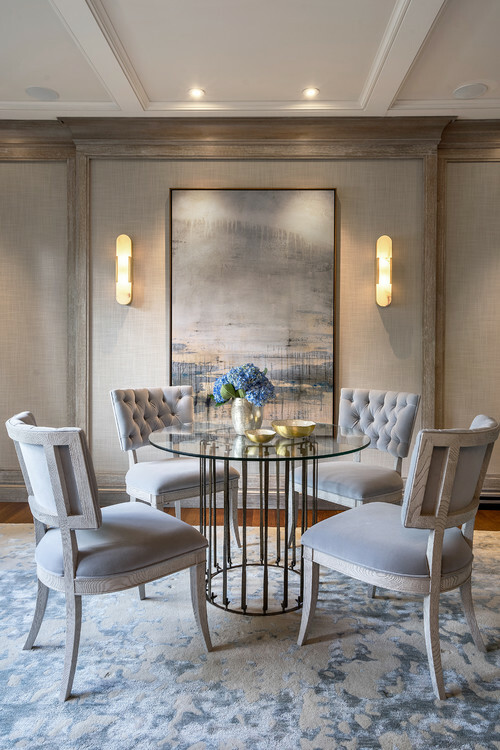 When switching out the original chairs, the dining room will not only become a relevant part of the home, but it will make an immediate statement. Trust me; when a dining room is functional and aesthetically pleasing to the eye, it is used more for the intended purpose. Bold colors such a vibrant yellow and electric red can be an ultimate head turner. Design Tip: SWITCH OUT – For both my dining room and breakfast nook, I bought two over-sized table bases (defined more as sculptural pieces). Then, I purchased chairs that became a complement to the table bases. 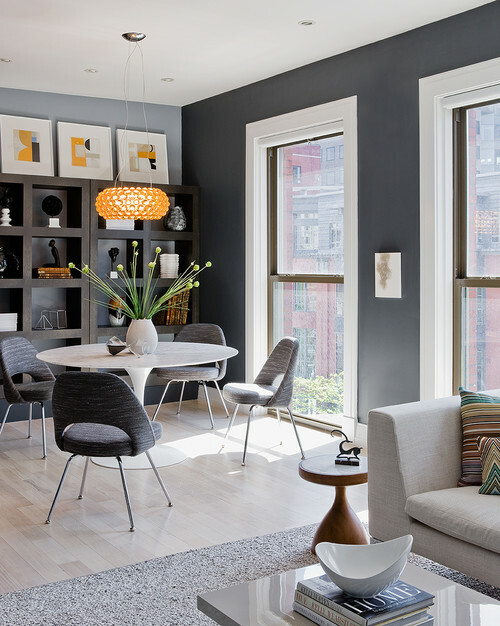 Also, I adore a high contrast — for instance, off-white or cream chairs against a dark wood dining table, but the most important note to remember about color is that it can turn any space into something extraordinary and exciting! 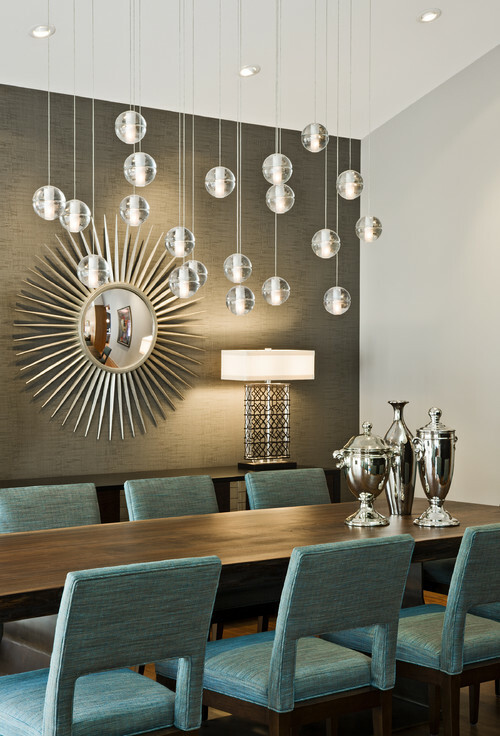 Check out some stylish dining rooms featuring chairs that are sitting pretty and representing their position while taking center-stage.